Make this colorful and fun diy pom pom garland. This gives your room great pops of color and is easy to hang and drape on anything. 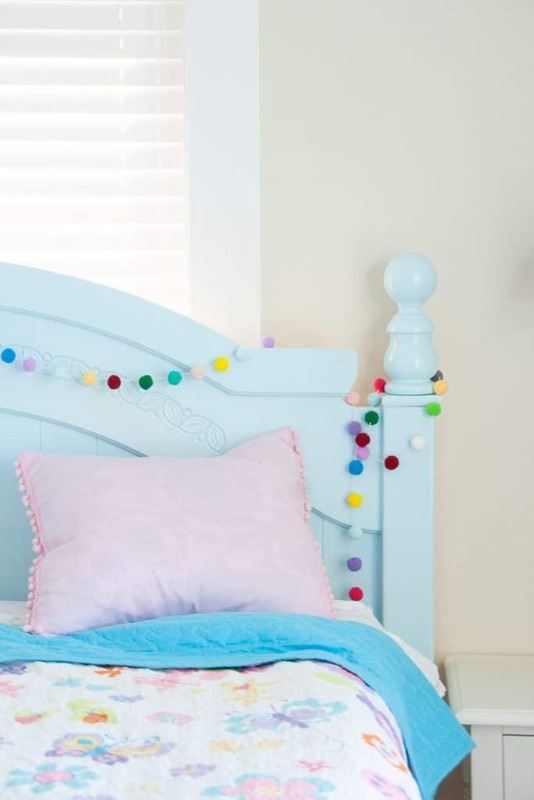 This makes a great addition to your kids rooms and nurseries, but also your home office too for a creative spin on decorating. Just three simple materials and you are on your way. Also makes awesome, inexpensive party decor! 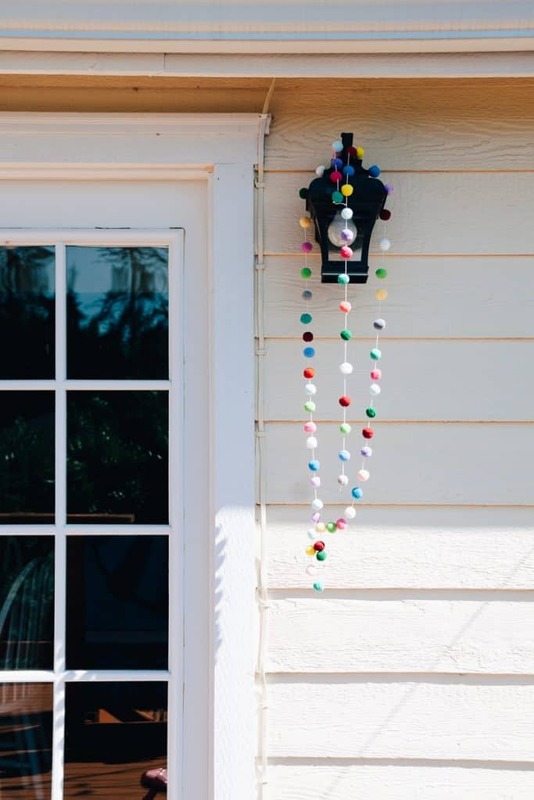 Sometimes it’s the simplest diy projects that make the most impact. Last week I posted on kids room decor and I was inspired by this pom pom garland. I just love how it adds so much color and texture to the room. How fun is that? 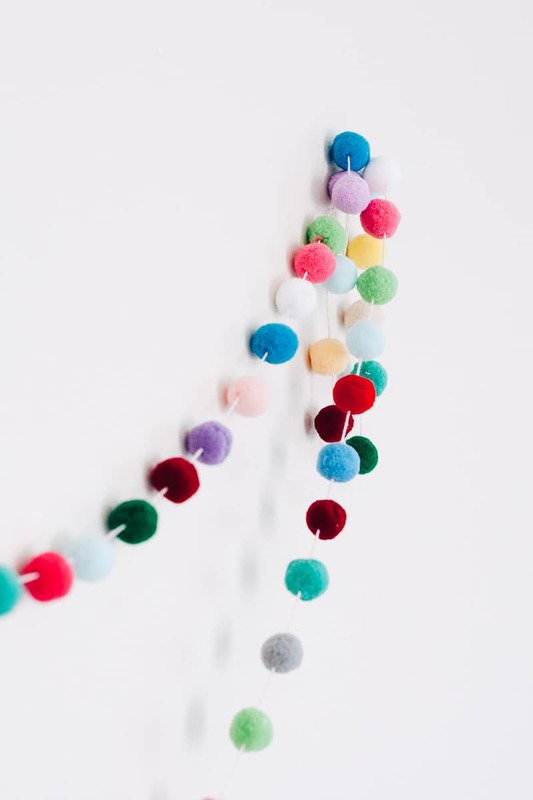 Definitely a great addition to this kids room or playroom but in all honesty, how fun would this be hanging in your office? 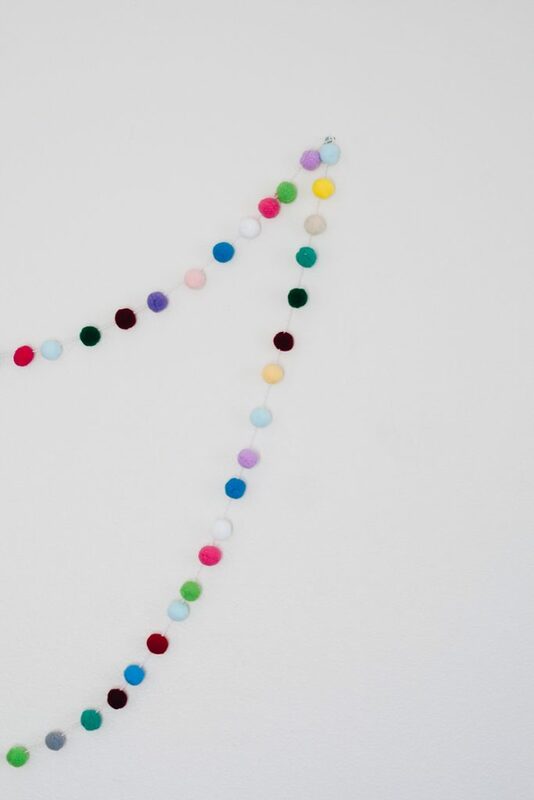 If you already have a creative type office with lots of colors, you could totally drape this over something for an added effect. Oh yea, that’s the other thing. Once I made this thing, I found it super easy to just “drape” on things. Picture frames, chairs, beds, light posts. Ha. 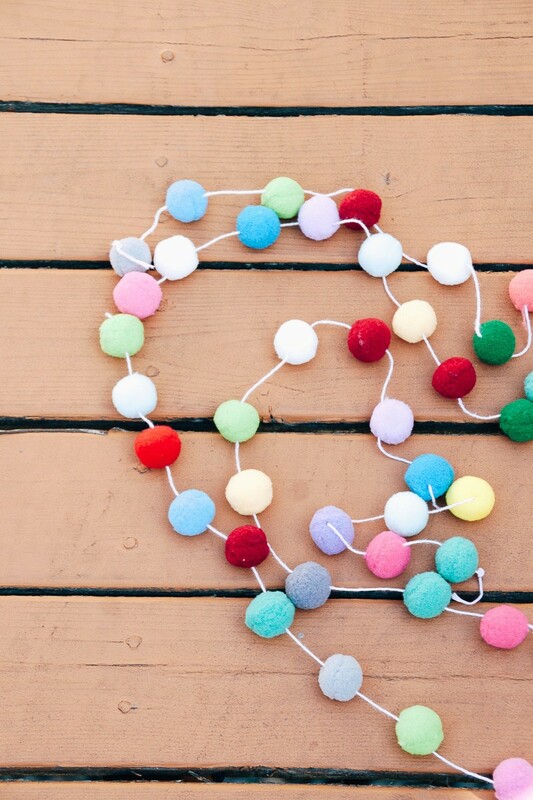 There is something about Pom poms that I just love. I love adding them to pillows and towels. Do you want to make this too? Let’s go! String or Baker’s Twine. I used this pretty pink Baker’s Twine. Pom Poms. 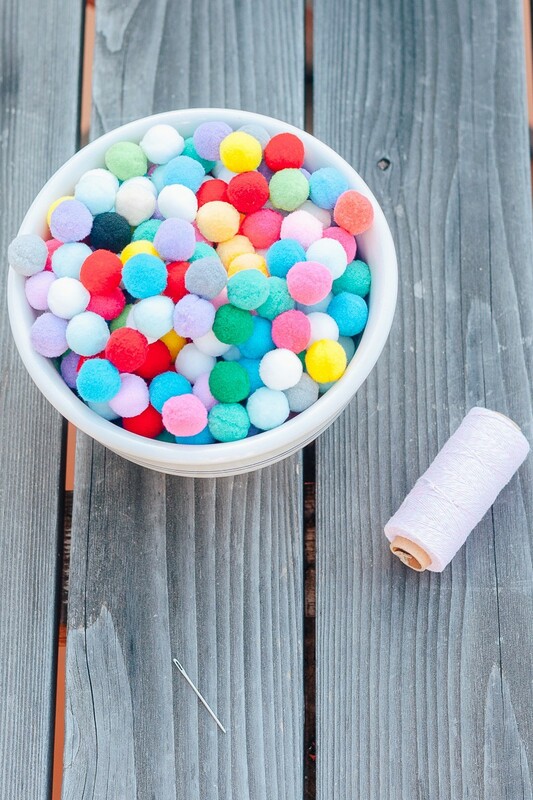 I used these colorful 1 inch pom poms. I just love the colors and I have TONS leftover for another project. Blunt needle. I used one of these needles. Ok, now read carefully because this is very complicated. Just kidding. This is super easy! Unwind a long piece of your string. String it through your needle. 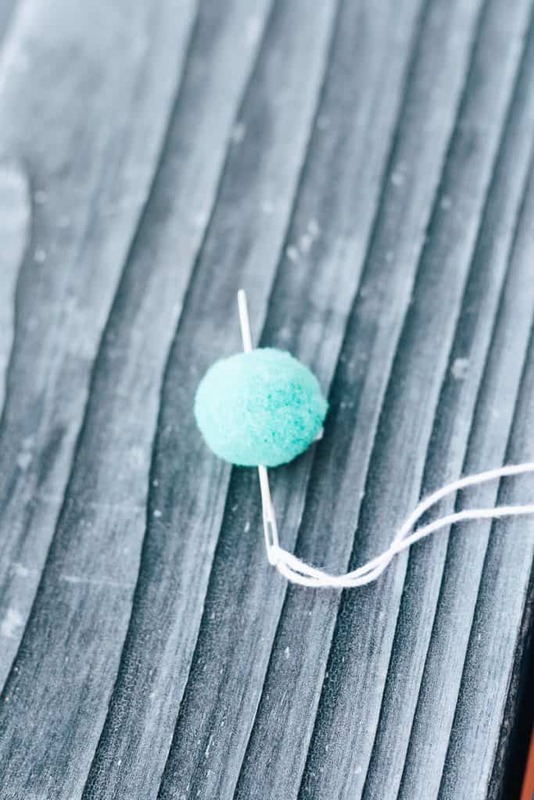 Use the needle to sew through your pom poms. 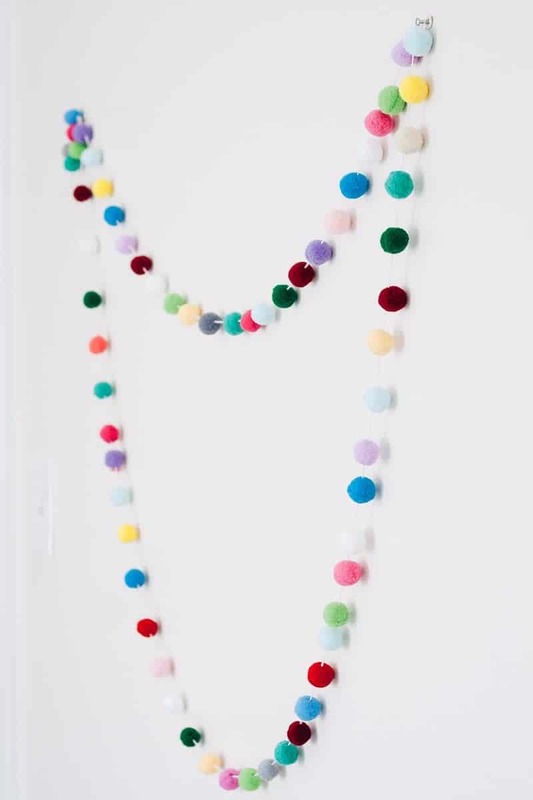 You can put little spaces in between the pom poms or make it one solid line of pom poms. Tie multiple knots on either end to hold the pom poms in place. 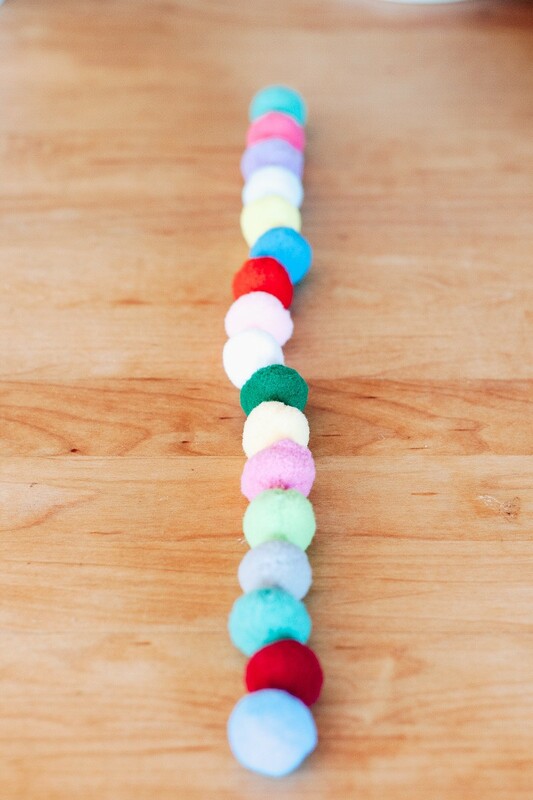 Tip: If you want to repeat a pattern of colors, just line the pom poms up and find a color pattern you like. String them all on and then you can space them all out at the end. It’s cheap. The material were inexpensive and I have a bunch leftover for other projects. It’s fast. Whip this up in 20 minutes. You can coordinate the colors with your current room decor. 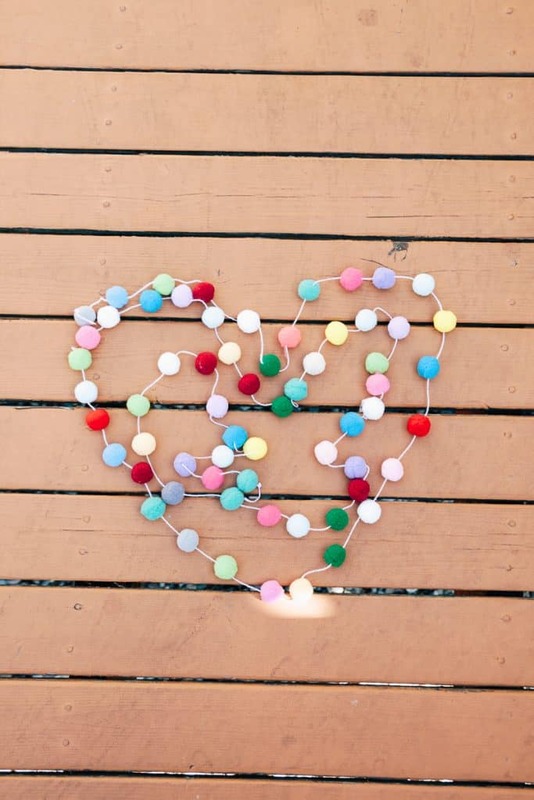 You can make these for parties, holidays and celebrations – make a red and green one for Christmas, a blue and pink one for a baby shower, a green and white one for St. Patricks Day. Etc. Your kids will love it! (Probably want to watch the really little ones around this so they don’t tangle themselves up). 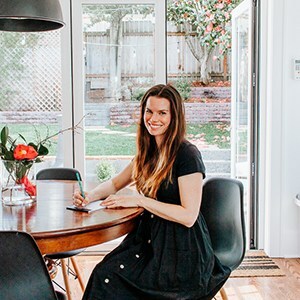 Let me know if you have questions in the comments. Have fun! Is it hard to space evenly and to tie the knots?